Without honeybees, the world would lose approximately one-third of the produce that we love and depend on — and without those plants, many dairy and other food sources would also disappear. Honeybees in the U.S. and around the world are mysteriously disappearing and dying-off at unprecedented rates, which means that a food supply disaster of this nature is becoming more and more of a real possibility. 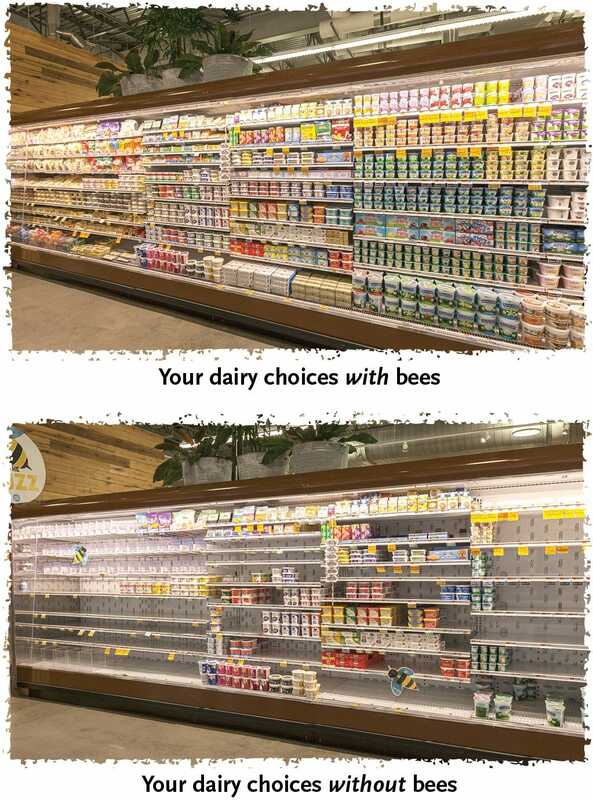 But since it's hard to conceptualize exactly what it would look like to lose these foods, a Whole Foods store in Lynnfield, Massachusetts, set up their dairy aisle to show what it would look like if honeybee populations continue to collapse. 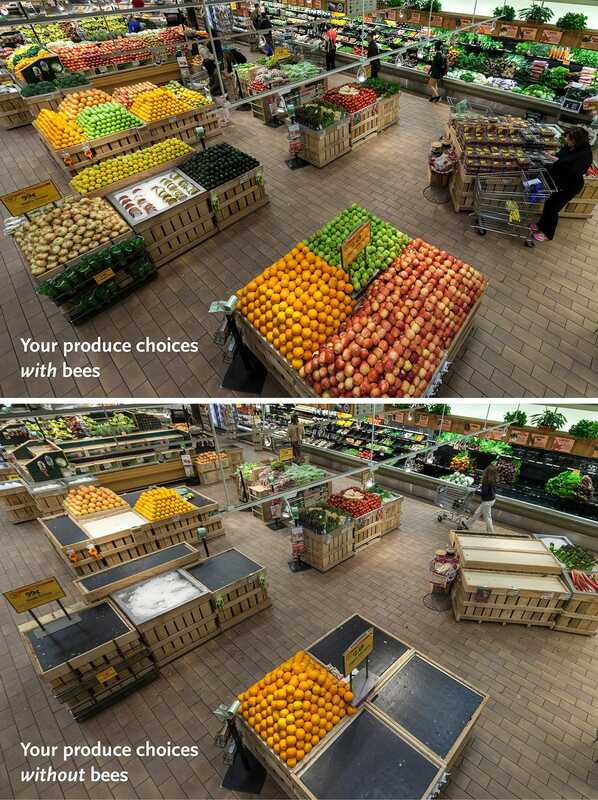 Whole Foods estimates that without bees pollinating clover and alfalfa, we might lose 50% of all milk products. Additionally, fruit-flavored yogurts, chocolate, and other perishables like juice and almond milk would all disappear. And just think of all the cheese that would be lost. Whole Foods conducted a similar campaign at a Rhode Island store in 2013, which showed the devastation facing the produce section itself. In that case, they pulled apples, carrots, broccoli, kale, and much more. Questions still ex! ist abou t what's causing the honeybee die-off, known as colony collapse disorder, though recent studies indicate that pesticide usage could be a main culprit. Other factors such as habitat loss, disease, and parasites also play a role. In an interview with Gothamist, Whole Foods "Eco-Czar" Lee Kane explained that since 2006, about 30% of bees have been lost each year. "I hope we have a long time," he said. "But I think we need to wake up now."